On Wednesday, a condo fire in Stratford left dozens of residents homeless. 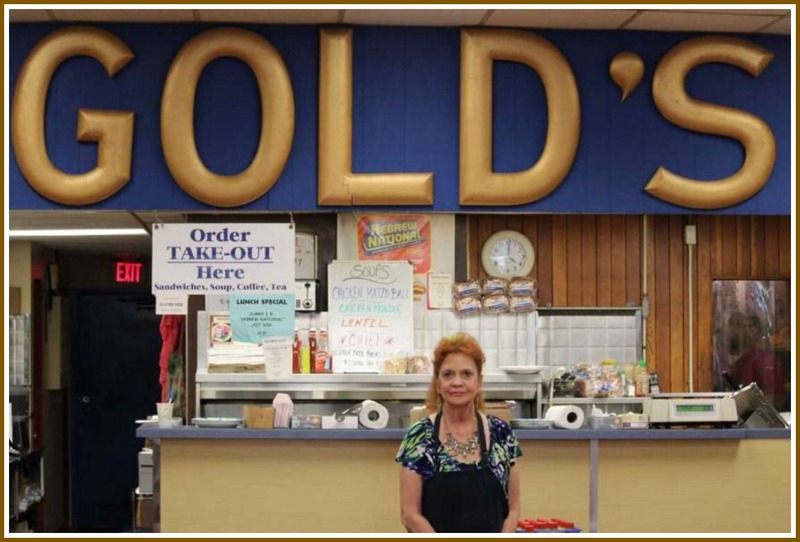 Longtime Gold’s waitress Karen Alexios was one. She lost everything, except the clothes on her back. Still, she went right back to work. That’s who she is. She started waiting tables at 16, at a local bakery. When she was offered at spot at Gold’s — with 2 other offers — the choice was easy. Now Nancy — and her customers, who have known and loved Karen for over 20 years — want to help. Now they want to take care of her. This entry was posted in People, Restaurants and tagged Gold's Delicatessen, Karen Alexios, Nancy Eckl. Bookmark the permalink. The GoFundMe amount is so nominal – I hope we can go well beyond it. I can’t begin to imagine what it would be like to lose everything I own in a fire. Once Karen gets back into an apartment I have some great furniture that I’d like to give her. We moved recently and I was just about to donate to goodwill but would rather it go to a wonderful person like Karen. I have couches and kitchen table and chairs set. Pls let me know how I can connect with Karen. Thanks, Lisa. What a wonderful and generous offer! I think the best way to contact her is through Gold’s. Wow – you rock! Great ideas from the commenters below. I hope too, we can raise much more than $10,000. Plus giving her furniture they’re not using. I can help with ordering fabric at cost, if anything needs to be reupholsted. Not only did Karen lose everything in her condo, including beloved charcoal prints and a few antiques, but because she has bought the condo when it was worth substantially more than it is now, she has lost all the equity she had in it. As it was, she used extra money to help her widowed daughter, who has dependent children. She is a great person and will need all the help we can give. I just wanted to say thank you Dan and ALSO a great big THANK YOU WESTPORT! Karen is completely overwhelmed with gratitude. She is busy trying to sort things out, but the kind generosity of the community is giving her a tremendous sense of relief. There has been a steady flow of people stopping by with gifts, and offers and advice and love and hugs. We are all so very grateful for your kindness. Karen has been a great friend over the years and a staples in our lives!Her kindness and love towards the clients is shown daily. Sending her our love and will come to the restaurant to see her soon.